Samsung as always pleases with a beautiful picture on both TVs. At 55 inches with an ultra HD image, even the smallest details can be viewed. They have the most comfortable built-in Samsung Smart TV interface. Both TVs are presented as a mid-price category. 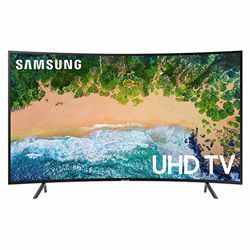 Comparing Samsung 55NU8500 vs 55NU7300 in price, they cost about $ 500-700, which makes them quite affordable, while you get access to all the latest technologies from Samsung. Samsung 55NU7300 presents a more budget 7300 series. 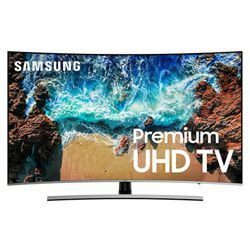 Samsung 55NU8500 is an improved TV of 8500 series. They are similar in functionality. But 8500 compare 7300 has a number of advantages, such as the ability to play a picture with a frequency of 120 Hz due to the advanced Motion Rate 240 technology, the Dynamic Crystal Color technology which significantly improves the color spectrum of the image and more naturally conveys colors. Both TVs give a very good picture, plays 4K ultra HD image with HDR Plus technology. But the 8500 has a number of advantages versus 7300, such as the ability to play videos with a refresh rate of 120 Hz, instead of 60 Hz, as well as more advanced Motion Rate 240 technology. Also, the 8500 has a better color image due to the improved Dynamic Crystal Color technology, which the 7300 does not have. These models are pretty well proven. 4K Ultra HD image looks great, HDR Plus adds charm to the image. Thanks to the Samsung Smart TV interface, I did not find any system bugs, sags or problems in the work. All movies go bang. Also, these TVs are well suited for gaming. The only disadvantage is sound, at 8500 it is really better than at 7300, but for the best result, I advise you to use a good audio system. Both TVs have the stylish curved design. By itself, it does not affect the functionality, but it looks very cool and ultra modern. PurColor: improves the shades of color and creates an incredibly vibrant picture. Better price-quality ratio (the price is about $500). Very big but fragile screen. More and better colors due to Dynamic Crystal Color technology. Motion Rate 240 technology which allows playing a 120 Hz picture. Smart TV with Bixby Voice to help find streaming and live TV.